Your health and safety is our number one priority. We understand the potential dangers of abnormal mold growth or other air pollutants in a home, rental or business. You would rather have peace of mind knowing that the indoor air quality is free of hidden health hazards. The presence of abnormal mold and air pollutants can compromise your health, unless it is promptly identified and mitigated. 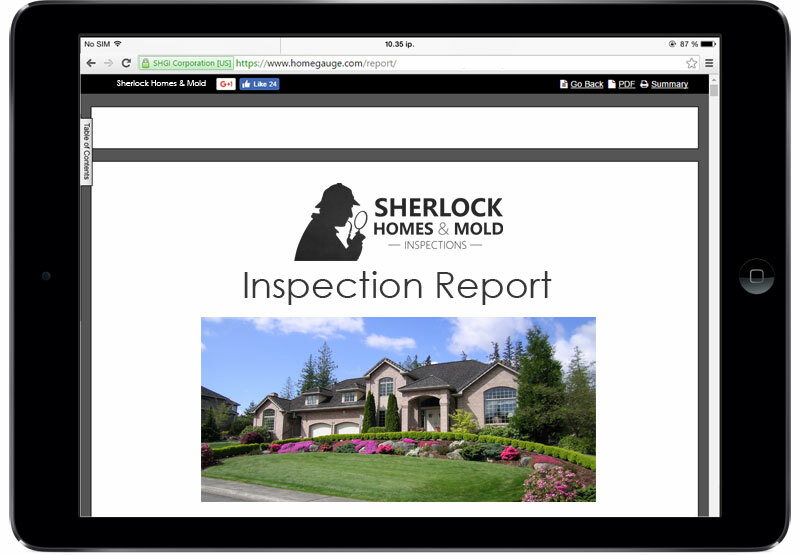 Sherlock Homes and Mold Inspection is the premier Northern California firm specializing in reliable mold and indoor air quality investigations throughout Sonoma. Marin, Napa, San Fransisco, and East Bay Areas. Know that we inspect and test only, offering to remediate is a violation of the code of ethics dictated by our certification organizations, and is a financial conflict of interest. Within 24 hours of our inspection, we can provide you with a state of the art, objective detailed report, that identifies the scope of work (what needs to be done), to safely return your property to normal indoor air quality conditions. Sherlock Homes and Mold Inspection is the only Nationally Certified inspection company in Northern California qualified in: Mold, Radon, Allergens, Mycotoxins, Formaldehyde, Electro-Magnetic Fields ( EMF), Volatile Organic Compounds (VOC), and Real Estate Inspections. CALL US FOR A FREE PHONE CONSULTATION AT (707)239-2601. Mold is a significant problem in our area due to weather conditions, aging building systems and construction practices. Abnormal mold conditions can cause illnesses like asthma, allergic rhinitis, sinus infections, bronchitis, and pneumonia. It can also cause chronic health issues for anyone, but it can be especially harmful to children, the elderly, individuals with compromised immune systems, and patients with a medical diagnosis of mold illness. If there is evidence of abnormal mold conditions, we offer the most advanced DNA based fungi testing protocols, including the EPA developed Environmental Relative Mold Index (ERMI). In addition to our mold expertise, we are also knowledgeable in the indoor air quality areas of: Radon, Allergens, Bacteria, Mycotoxins, Formaldehyde, Volatile Organic Compounds (VOC), Electromagnetic Fields (EMF), Lead Paint, and Asbestos. 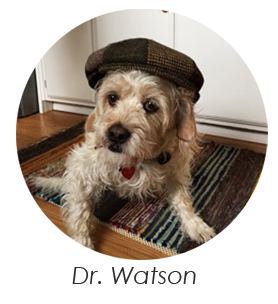 I’m Steve Zivolich, and as the owner and inspector of Sherlock Homes and Mold Inspection, my primary goal is to make sure that the indoor air quality is safe in your home, rental and or work environment. We provide mold and indoor air quality inspections, testing and written scope of work protocols in: Santa Rosa, Sebastopol, and throughout the areas of Sonoma, Marin, San Fransisco, East Bay, and Napa. The Surgeon General Has Warned That Radon Is The Second Leading Cause Of Lung Cancer In The United States Today. Only Smoking Causes More Lung Cancer Deaths. According to EPA estimates, exposure to radon is responsible for 21,000 lung cancer deaths every year, more than drunk driving, household falls, drowning, or home fires. Radon is a cancer-causing, radioactive gas. You can’t see radon. And you can’t smell it or taste it. But it may be a problem in your home. Steve Zivolich is one of the few California Radon Measurement Providers certified by the National Radon Proficiency Program, American Association of Radon Scientists, and the California Department of Health (#105129RT). My digital reports are accessible from your computer, phone, or tablet and include the option to use a Repair Request List feature which allows for you to streamline the findings that you would like to be addressed by the seller and how into a concise and easy to read list. This tool is immensely helpful in clarifying communications between all parties in a transaction, or simply to organize a project list for yourself. Try the demo and find out how it could help you! I am certified by the California Department of Public Health, National Radon Proficiency Program, and the American Council for Accredited Certification. Sherlock Homes and Mold Inspection offers an array of inspection and testing services, including Mold Investigation, Radon Gas Testing, EMF, Allergens and other Indoor Air Quality Testing. Sonoma County, Marin County, Napa County, and San Francisco County, including the cities of: Alto, Belvedere, Benicia, Berkeley, Bolinas, Bodega, Bodega Bay, Cloverdale, Cotati, Corte Madera, Fairfax, Foresville, Glen Ellen, Graton, Guerneville, Healdsburg, Hercules, Kenwood, Jenner, Larkspur, Marin City, Marshall, Mill Valley, Monte Rio, Napa, Nicasio, Novato, Oakland, Occidental, Petaluma, Penngrove, Richmond, Rohnert Park, Ross, Santa Rosa, San Francisco, Sausalito, Sebastopol, Sonoma, San Anselmo, San Rafael, Tiburon, Tamalpais Valley, Sleepy Hollow, Vallejo, Windsor and nearby cities. Protect your health and home and request to schedule an appointment from Sherlock Homes and Mold Inspections.